When investing in Real Estate, the mantra is location, location, location. In Australia, high end would be water frontage on Sydney Harbour. Prime real estate. Manhattan, New York, Beach front, Monaco-If you have to ask how much, you can’t afford it. Then there’s Jerusalem, and specifically the Temple Mount. Now we’re talking the epee-centre of real estate. A piece of land that no amount of money can buy. For the Jewish community, this is the holiest site on earth. The sight where King Solomon built the temple in which the high priest communicated directly with God. The site that now houses the Muslim Dome on the Rock-revered by them as the location of Mohammed’s ascent to heaven. One scholar noted that the destruction of the temple and loss of the land, and resultant inability to rebuild the temple is considered by the Jewish as a far, far greater tragedy than the holocaust. The holocaust where some six million Jews perished-two thirds of their community. This has been hotly contested land throughout history. As it is in today’s Old Testament reading. In the year 597 BC, a time in which the people of Israel have been gravitating away from God to that of false religions and the ways of the surrounding cultures and the time where the Babylonians successfully invaded and claimed rule over Jerusalem. After pillaging both Jerusalem and the temple of their riches, the King returned with them, and prominent Jewish officials, craftsmen and approximately 10,000 of the Jewish population-among whom was Ezekiel, to Babylon, which is in present day Iraq. In short, this group of Israelites have been taken from their homeland and not only are they in a foreign land against their wishes. Their ability to worship at the temple, the place where God was present has been taken from them. They are away from home, and away from God, and now in their exile, and only in their exile have they come to truly know what they have lost, what they threw away by abandoning God and as said in psalm 137 “How they wept when we remembered Zion/Jerusalem”. This is not a good place to be, both physically or spiritually-a seemingly hopeless situation. “Almighty God, merciful Father, I a poor helpless sinner, confess to you all my sins, and repent of all the evil I have done. I have deeply displeased you and deserve your punishment in time and in eternity. But I am sorry for my sins…”. But repentance is more than being sorry for our sins; it means to turn towards God, and in their exile, although seemingly without hope this Jewish community have now turned back to God. They say history repeats and indeed it would seem so. When the forefathers of these people were captives in Egypt, in The Book of Exodus we are told that “the people of Israel groaned because of their slavery and cried out for help, and their cry for rescue came up to God and he heard their groaning”, and as we know, God enlisted Moses into his rescue plan. History repeats- In their repentance, God hears his people in Babylon and now enlists Ezekiel to prophesise to the people, to announce the Word of God to them. “Then God said to Ezekiel, these bones are the whole of Israel. They say their bones are dried up, their hope is lost, they say they are completely cut off. Tell them…I will put my spirit in them, and they shall live, I will place them on their own soil, and then they shall know that I, the Lord, has spoken and will act, says the Lord”. Given the gravity of the situation we might have thought that it would be appropriate for Ezekiel to enquire further as to how this may come about, but when God asks him, can these bones live-can Israel be restored, there’s no maybes, no how’s or let me think about it for a moment, not even “yes Lord in you bring life to them” but just simply ‘O Lord God, you know’. What an answer of faith. This is a tough response to give-a response that says no matter what it looks like, and no matter what the outcome-a total trust in God’s ways and actions. This is our “your will be done” response. Your will God, no matter how confusing, no matter how hard it may be to see any goodness in it-at whatever personal cost or hardship-in trust in God-we’ll just go with it. That trust, just going with it is not so easy, because often, very often God acts differently to how we would expect. To slaves in Egypt, God doesn’t send down a battalion of angels, but works through a fallible human being, Moses. Likewise in Babylon, God works through Ezekiel. Is this how you would do things? Try this one. You created the world and all its people-they owe everything to you but their response is to basically say thanks for that, but we don’t need you anymore so we are outa here. I’m glad God acts different to how I would to such a bunch. This bunch impoverished in sin, does God justifiably unleash his wrath on them? No he unleashes it on himself by giving his Son to be beaten, tortured and sacrificed in their place. In our place. The words we pray at the start of the weekly message in the sermon. “May the words of my lips and the meditations of our hearts be acceptable to you Lord” come from Psalm 19, but are also used appropriately in that Boney M song “By the rivers of Babylon song”. Appropriate because like in the sermon, like in the situation they faced in Babylon and like Ezekiel answered “O’Lord, you know” there is a sense of trusting in the Will of God. That God will act and will make things happen even if how he does it make no sense to us. We do not need to know how, that by living out our Christian life as best we can, that somehow God will use it to help build His kingdom in Christ-that’s His business and we’ll just go with it. We only need to know why-that he wishes for all to be delivered from the exile of sin in this world. To give them the gift of repentance, to see and turn back to God, and to cling to the redemption and forgiveness delivered by Jesus. That’s what we know and that’s what we have received. Moses, Ezekiel and now all those saved in Christ-us-recruited by God to let his voice be heard by those still held in captivity. To know in faith and trust, that in our lives as Christian’s that God will use our words and actions so that his voice be heard and seen-FROM US, maybe seems a strange way of getting things done but let’s just go with it and leave the rest to Him-He’ll sought it out. Amen. Acts 1:15-17, 21-26; 1 John 5:9-13; John 17: 6-19. That saying: “If it quacks like a duck, if it walks like a duck and if it looks like a duck-well it’s probably a duck” comes to mind upon hearing today’s scripture readings. 1st John “We accept man’s testimony, but God’s testimony is greater because it is the testimony of God, which he has given about his Son… And this is the testimony: God has given us eternal life, and this life is his Son. He who has the Son has life…I write things to you who believe in the name of the Son of God so that you know that you have eternal life”. These words of John, where did he get them-the inspired Word of God-well yes, the bible is the Word of God but what has Jesus told us in Todays Gospel: Jesus is praying/talking to God the Father and says this of his disciples: “For I gave them the words you gave me and they accepted them. They know with certainty that I came from you, and they believed that you sent me”. God testifies salvation and eternal life in the Son. The Son, Jesus, gives this testimony of this eternal life to the disciples, including John-and then John to us-that in believing in Jesus Christ the messiah-we have eternal life. I would say the ducks have well and truly lined up. Sometimes the cold hard facts are the facts-believing in Jesus-you know with certainty that you have eternal life. Yes, sometimes against what our mind tells us, the facts are the facts. A few years ago I went to the Doctor. He asked the usual questions, Date of birth, age-39 (O.K. it was more than a few years ago). And as he was writing them down, he asked again “what did you say your date of birth was?” Again I answered. He then went on to say well if this is your date of birth, that means you’re only 38. As I protested he got out his calculator and showed me on a piece of paper his workings and indeed I was only 38 at which he said anyway “what can I do for you?”. To which I replied “Well nothing now I feel brilliant, just book me in for the same time next year” and off I went. Well Jesus tells us, and God by the way, that he is not giving just us another year, but never ending years-eternal life, and they don’t even charge a $22.50 gap fee. What a bargain. It’s a bit like that movie, “I’ll have whatever she’s having. Knowing this, indeed we are poor helpless sinners-but we don’t need to be poor helpless miserable sinners. This is where Martin Luther was coming from when he used his famous quote “sin boldly”. Was he saying go out and purposely sin to throw it in the Lord’s face, absolutely not. He was talked about when he was, when we are under spiritual attack. When the forces of darkness see us sinning and suggest that because of our sin, we’ve blown it. Luther in saying “sin boldly” was not to test God, but to answer these allegations-to say yes I did sin-there you go I admit it and no doubt I’ll sin again, but that does not and will not change the rock solid promise I have, the promise that we have received from our Lord and saviour so put that in your pipe and smoke it. Romans chapter 8: For you are children of God… You did not receive a spirit that makes you again a slave to fear…The spirit himself testifies that we are God’s children. Now if we are children of God, then we are heirs-heirs of God and co-heirs with Christ. Those who are saved are children of God through faith in Christ Jesus”. At least with a walking, quacking duck there’s some subjectivity. It could be a Red Crested Diving Duck or just a low flying Mallard. But there is no subjectivity, no second guessing the Words of God that we have heard concerning eternal life. In Jesus, eternal life is your inheritance. That cleared up, where to from here. Well don’t ask me, I don’t even know how old I am (or should I say young). So let’s ask Jesus? Today’s Gospel. “I have given them your word..They are not of the world any more than I am of the world. My prayer is not that you take them out of the world…As you sent me into the world, I have sent them into the world”. In the world but not off the world. That seventy million dollar lottery two weeks ago, three winners. Do you think they are at home now worrying that the price of petrol is up four cents a litre? Eternal life in the bank-what’s to worry about? Kerry Packer was in a casino in the United States and he seen this rather loud guy who everyone was gushing over and asked him, “You must be important, who are you?” to which he boasted “I’m worth fifty million dollars” to which Kerry replied “I’ll toss you for it”. Eternal life, it’s in the bank and we carry it with us now-during our lives. But do we boast of it, shove it in other people’s faces. No, because as Saint Paul said, “we do not boast of ourselves. We boast only of the Lord”. In the world but not of the world, how does this look. Are we to hide ourselves away in a monastery? To withdraw from society in prayer and meditation? This would sadly seem a reduced version of the faith that Jesus died to bring to this world. Of course there is need of prayer, meditation and quiet times when we shut the door to the world to be alone with God, absolutely-but we are still to be in the world. So how does this look? Look in the mirror, that’s how it looks. Sometimes life is the six inches in front of our face. Christianity does not release us from our problems, it offers us a way to solve our problems or even live with them ala’ Paul when he asked God to “take away his thorn in the flesh”, only to be told “My grace is enough”. Christianity does not offer us a life in which troubles are escaped and evaded; it offers us a life in which we can face our troubles. However much it may be true that Christians, you and me are not to be of the world, it still remains true that it is within the world that we live out our lives as Christians. Because of Christ, we don’t live of the world, likewise we live in the world because of the will of Christ. His will that all people may come to know him. Our world, where we live in the six inches in front of our face. Living in our sin, amongst others sinners. Yet living with forgiven sin-in the freedom of knowing where it all ends, in eternal life. This freedom that lets us have a crack at befriending our neighbour across the road. The freedom that allows us to be ourselves, that allows us to live in our lives as they are under the sure and joyful knowledge-that, that face in the mirror belongs to a forgiven sinner, and that, that face in the mirror belongs to a person who living in the grace of God, and trusting in God, can go about their normal business-living in this world and truly trust and believe that even through us and our seemingly small or error ridiculed attempts of serving our Lord that others may come to see and know his peace-We can live joyously and just have a crack without the need to see any results-Because he has told us “That His Will, will be done”. Amen. What could be more appropriate on Mother’s Day than today’s Gospel. Jesus talking of his love for us and our love for each other. Yesterday morning at 9.30am, after having this Gospel message churning through me all week, I had the sermon all organised in my head and basically just had to get it on paper. Then, on her baptismal anniversary Cathy put on a CD of love songs, and the first song I heard was Joshua Kadison singing “Beautiful in my eyes”. A song that brings back a rush of memories and I knew that the sermon I had mentally prepared will have to wait for another day. Early one morning I was walking down the street in North Adelaide to withdraw my last $20 from the ATM when near I saw a lady badly shaking and another body lying on the footpath and I immediately thought not today, not today I just cannot afford it. But as I got drew near, she didn’t ask me for money, but quite the opposite she was aware of people’s judgements-like mine. So as she leant against the wall and her arm stopped shaking I saw a young lady, well dressed talking to her son dressed in his school uniform, tired and lying on the footpath while they waited for the bus.While I withdrew my money I heard their conversation and it nearly brought tears to my eyes. This mother with a handicap talking to her tired son lying on the pavement in his school cloths and their love for each other, no judgement of each other- Just love. Five or so years ago, my mum left a note on the wallet of a wayward sinner who had been called to study the Word of God at the Lutheran Seminary. It’s a little worn now but I know the words well enough: “Nothing in my hands I bring, simply to the cross I cling”. Two weeks later, on the 11th of January 1996, two weeks before the start of my studies I heard the song I have mentioned. It was the first song I heard after receiving a phone call from my dad. “Steve, it’s over” and the hysterical screaming of my mother in the back ground haunts me to this day. Four years later, my mum buried her husband next to her son and today my mum will be sitting on her own in a little cemetery in the Adelaide hills, weeping by the headstones of two people taken tragically before their time. What have you just heard, law or Gospel? “I command you, to love one another as I have loved you” and let’s not forget, that includes that “we are to love our enemies”. I hear law, sure maybe on the odd moment of love happens-but as a person: this commandment has shown the darkness of my heart. Today a wayward sinner stands up the front and is talking to you, fellow sinners about love. We hear law, the law that we can never fully adhere to, that crushes us- and that’s the way it must be because then we can hear the blessed gospel of our Lord and Saviour. We have all the credibility in the world because we do know love. Not our imperfect love outwards, but the perfect love we receive. Our credibility is in knowing our shortfalls, but receiving Christ’s love all the same. knowing that before God, because of Christ’s love and action of dying for us-that when we pray in Jesus name to the Father- he sees us clothed in the righteousness of his son-sinless. Yes, we can truly in full credibility talk of love. “Nothing in our hands we bring, simply to the cross we cling”. but only because he clings to us. Our love is the same as our spiritual condition. Saint and sinner. Yes we are sinners, but in Christ are saints-warts and all. Can we love each other like Jesus loves? but in Jesus no matter how small a portion of love we can offer-he uses it in HIS love. Late one night I was travelling home after leading a bible study. As I drove past mecca, being the small suburban Alberton oval-the home of the Port Adelaide Football club all was good in the world as I reflected how well the study went and how some 100 plus people have had their ashes spread on this oval that has seen so much joy. As I turned the corner onto a large thorough-fare I was later to be reminded of Bruce Springsteen where he sings “in the part of town where when you hit a red light you don’t stop”. Well I did stop and the next minute the door opened and someone jumped into my car screaming “drive, drive”. Well what do you do? You drive. When the dust had settled and as I looked across at this young lady, she apologised and told me that while working the streets she had become fearful with a customer and had to flee and now wished to go home and asked if I could give her a lift. What can you do, so I turned around and drove her home. On the way she talked openly about herself, how her mum was home looking after her darling son, and of her dreams for him and herself. But while she was doing this, all I could think about was that my car was running on empty and there was a high probability that I would be stuck in this neck of the woods in the middle of the night with no money and no way to contact anyone. Still thinking this, we arrived at her house she looked me in the eyes and said “God Bless You”. 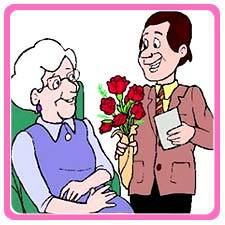 A pastoral student gives a lady a lift home-not out of love, but because there was no option. To a lady that is using the only asset she has available to give her child a chance of his dreams-and only one of the two see’s Christ in this. Yes Jesus uses our imperfect love. The bible tells us that people have been visited by angels without being aware. I was visited by an angel, not one without sin and not one with wings. But an angel none the less, because those three words at that time: “God Bless You” touched me as if they were said by Christ himself. Mothers, fathers you and me-Sinners yet saints in Christ. Imperfect in love, yet perfect in Christ. Mothers-angels no, but in Christ-yes angels-but without the wings. The song I mentioned: “Beautiful in my eyes”, while it brings back a flood of memories, I also hear it differently. I am going to play it and I ask you think of it as I always have, of our love towards each other-but also, when you listen to the words-think of it as Jesus saying these words to your children and loved ones, to all the families that will visit cemeteries today, to people judged by society but not by Jesus and to young mothers plying their dangerous trade on dark streets, and to you. The song: Beautiful in my eyes by Joshua Kadison is played. For the past week and a half I have come to know the local vet quite well. Our little puppy Koby contracted the “parvo” virus. A virus that is fatal without serious attention. Koby was in the animal hospital on a drip for four days and since coming home, we still have had to ring them, basically daily for advice, or take him down for injections. That know that saying when others are ill “I know how you feel” is easily reeled off the tongue and often not totally true, but ironically Koby and me do have a common distinction, that of both having being treated by a vet. Kobe, as mentioned and myself back in 1992. It was the morning of the football Grand final, and two nights before I had pulled my hamstring and was hobbling. The coach had given me right up to near the start to see if I good play. The two of us referred to the club trainer and the prognosis was not good. But our club trainer was no ordinary trainer; he also trained horses and offered me one of his horse tablets. I played and we won and lived to tell the tail and all was good in the world: except he had told me there would be no side effects, which I assume didn’t include the tongue lashing I received later from my fiancée and mother. In many things we reminisce of the good old days, but medical treatments are not one of them. Medically, compared to centuries past, we truly do live in a blessed time. It is amazing of what can be done to us to keep our bodies physically functioning. Yet, emotionally it can be a different matter. 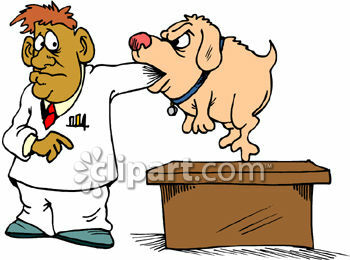 When physically ill we go and receive medication from the doctor (or in some cases the vet). Emotionally, sometimes we can tend to try and self-medicate to get rid of the pain. Anything, for a few moments of peace away from the pain and will do. George Best was a brilliant soccer player, yet searching for peace as seen in his words describing his journey of life, when he said: “Most of my money I spent on grog, women and gambling, and the rest I just wasted”. We can self-medicate but in the end, the medication itself can become the problem. There is but one sure source of spiritual medication and unlike the others, it’s free and we don’t take it, we receive it. Every facet of our spiritual life with God is dependent on Jesus. John chapter 15, verse 5: “I am the vine, you are the branches. Whoever abides in me and I in them bears much fruit, for apart from me you can do nothing”. Now I don’t know about you but as soon as I read the words “good works” and bearing fruit” I get a little edgy. Indeed I can relate to the Prophet Isaiah’s words that “all our righteous acts are like filthy rags”. Sure some days we might spring out of bed, feeling full of the Holy Spirit, hearing the Word, full of love and good deeds: feeling like a Christian “should feel.” (and)These truly are blessed moments, just like the other just as blessed moments-Lord blessed moments that is, when we may feel at the other end of the scale. Christian life ethic. Where it’s a bit vague to us. Where we feel a bit like Prince Charles, who when asked on his engagement to Lady Dianna if he was ‘in love’ answered “Whatever ‘in love’ means”. In these moments we might not feel as we’re much of a blessing to others or ourselves. But the Lord is still blessing us. But what is a “real” Christian anyway. Good works-producing fruit: certainly yes, these are good things that we should always endeavour to act on, just like non-Christians do. “all our righteous acts are like filthy rags”. Two key words here, “righteous acts”. Not good deeds but righteous acts and there is a big difference. Good deeds are done in honour of our Lord towards his people, but they are not saving acts. Righteousness is to be right by God. Good deeds do not bring us righteousness, only Christ makes us right before God. John 15: “I am the vine, you are the branches. Whoever abides in me and I in them bears much fruit, for apart from me you can do nothing”. There we go again, “good fruit”. But let’s look a little closer. Jesus is the vine, the source of nourishment, the one that feeds us, the branches, not the other way round, not even a little each way-no all the feeding comes outwards. “Whoever abides in me and I in them bears much fruit”. While this sounds a little like the old ‘what comes first, the chicken or the egg’ scenario, it is far from it. “Abide in me and I in them”, seriously, I can’t even force myself to really accept rugby league never mind abiding in the Lord. No, the key, the Gospel is Jesus: Jesus abiding in us. Jesus does all the work, in Jesus we are brought to faith and only in Jesus is there fruit. This is so freeing, a release from thoughts of inadequacies spiritually and indeed of our lives. In Jesus we cannot go wrong. One day full of zest, the next tired, one person a novice pastor the other a brain surgeon in a city hospital-Jesus uses people, times and places to serve others and that they might even become Christians. ‘Real’ Christians that although they in themselves fail in deeds and thoughts, in Christ are they nourished, forgiven, saved and given life. In the movie Breaker Morant, Breaker an Australian soldier in the Boer war, has returning from his controversial court martialling and is asked by his colleagues how he went and sternly replied “Shot at dawn”. While our bodies are attached by old age and illness, our spirit is strengthened, renewed and protected by the Father, The Son and The Holy Spirit. Martin Luther during the reformation was often attacked by the powers of darkness that would ask “Who do you think you are and you’re just a sinner: to which he would reply-yes, but I am a forgiven sinner who is a baptised child of God. Yes, the Lord is with you. Amen.